What appealed to you about working for the RHS when your corporate background was travel? The Royal Horticultural Society has always been an amazing organisation. 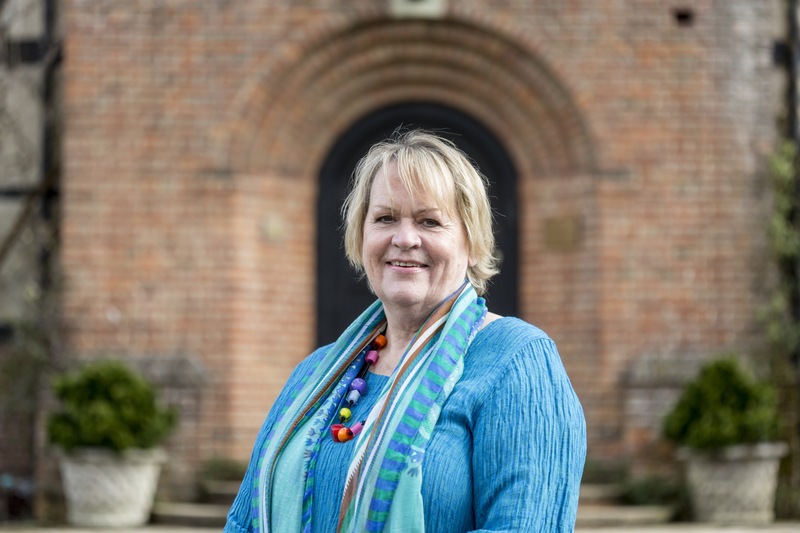 When the RHS position came up, I had already been an RHS member for years, and even though I wasn’t actively looking to leave the travel industry, it was quite simply my dream job and it only took me a couple of days to pluck up the courage to apply. The RHS is the world’s leading gardening charity, driven by a love of plants and the genuine belief that gardeners make the world a better place. They were looking for someone with commercial experience and who could bring teams together, but also for someone who loved gardening. I’ve always recognised and appreciated the benefits green spaces and horticulture can provide, and it’s now more important than ever that people recognise the role plants play in reducing the impact of some of the biggest challenges facing us today. This makes this role so much more worthwhile for me, and far more rewarding than delivering shareholder value. I feel so lucky to work in an organisation with such wonderful people, promoting something I care about passionately, and I hope making a positive difference to as many lives as possible. What challenges did you face when taking on the role? When I joined in 2010 it was a turbulent time as the previous year had seen a big redundancy programme. Since then we have built outstanding teams and together we haveplanned for some ambitious yet inspirational projects. In late 2014 we announced a £160million Investment Programme and are currently fundraising for £40m (with £13.5m left to raise) to help transform and increase the power of horticulture in our country. Through investing in our gardens, our outreach and education facilities, we want to create a more sustainable and better society for generations to come. There are seven projects in place, one of which is our fifth garden at RHS Garden Bridgewater in Salford. Bridgewater is the biggest gardening project in Europe and the Society’s first new garden in 17 years. It is a big undertaking andwe still need to raise £4.9m to create this inspiring horticultural haven for the North West. But it will be a place of great beauty as we welcome a wider audience and thousands of local schoolchildren to reconnect with nature and learn how to garden. What’s your biggest achievement is to date? I was extremely proud to receive the award of the Commander of the British Empire (CBE) in recognition for services to the environment and horticulture on behalf of everyone at the RHS who works so hard to help us deliver our charitable work. I was also over the moon to see our membership pass the 500,000 mark. But I think that when we finish delivering all seven Investment projects, then I will be very proud of what we will have achieved at the RHS for the growth of gardening in this country and delivering on our mission to enrich everyone’s lives through plants. What issues do you see facing the horticulture industry in the future and in what ways can they be addressed? Apart from the obvious concerns that surround Brexit, plant health and the threat of pest and diseases is at the top of our concerns that we take very seriously. Last year we launched our new Plant Health Policy to help mitigate against the increased threat of pests and diseases. We’re continuing to work closely with the Animal and Plant Health Agency to ensure our practices are as robust as possible, implementing changes where necessary. We continue to invest in our science, which will ultimately help gardeners to be better equipped to identify and manage pests in their gardens, cope with gardening in a changing climate and ensure greater knowledge of cultivated plant diversity in the UK, aiding conservation. Recently we’ve introduced a environmental horticulture team to bolster our climate change related research. This team, along with many other RHS researchers and scientists will, in 2020, move to our new National Centre for Horticultural Science and Learning which is being built at RHS Garden Wisley and will be surrounded by three new gardens that will act as ‘living laboratories’designed by Ann-Marie Powell and Matt Keightley. The horticultural industry also continues to experience problems in recruiting the next generation of gardeners, designers and landscapers. We’re committed to getting as many people gardening as possible because of the immense positive affects plants and gardens have on our health and the environment. The RHS works hard to support and champion our profession with our Horticulture Matters Campaign. Along with fellow colleagues, we want to improve the perception of a career in horticulture and landscaping to encourage more people to consider entering one of its many varied professional careers. We are also committed to doing more and more to support UK growers. As the heart of the horticultural industry, we will continue to support this sector. In the new plant centre at RHS Garden Wisley opening in June, we are creating a high profile platform to promote these special and unique businesses. Our Master Grower scheme runs across all RHS Shows and also celebrates those that have gone above and beyond to highlight their highly specialist skills. We are honoured to have for the first time HRH The Duchess of Cambridge co-designing the RHS Back to Nature Garden for the Chelsea Flower Show 2019. Working with landscape architects Davies White, the garden will see a woodland setting for families and communities inspired by the natural world, encouraging all generations to reconnect with nature. 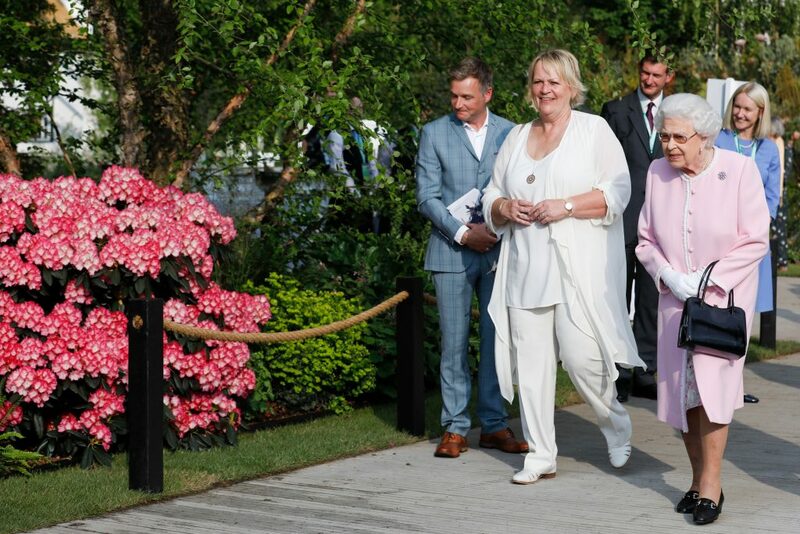 We’re also delighted that Her Royal Highness and Davies White will also be co-designing at RHS Hampton Court Palace Garden Festival in July and RHS Garden Wisley in Surrey, which will open in the Autumn later this year. I’m also excited that our four RHS Gardens are very soon going to become five! Ahead of the official opening of RHS Garden Bridgewater in 2020, a phenomenal amount of work is going into restoring the 11-acre‘Weston Walled Garden’. The Garfield Weston Foundation generously provided a grant of £5 million towards restoring the walled garden which at 11 acres is one of the largest of its kind in this country. We are also redeveloping our flagship RHS Garden Wisley, where we will be opening a spectacular new visitor entrance with a Welcome building and avenue of cherry blossom trees leading visitors into the garden. Work has also started on the three new gardens around the planned new National Centre for Horticultural Science and Learning on the Hilltop. RHS launched the Greening Grey Britain in2015 – how much interaction does the RHS have with public bodies such as local councils, public open space organisations and housing developers in extending such RHS initiatives beyond the garden fence? Our Greening Grey Britain campaign was launched following an RHS survey that found 7 million UK front gardens contained concrete and cars rather than flowers, trees and grass. Since its launch, the Greening Grey Britain Report has been raised in The London Assembly.We held a Front Garden Summit in 2016 where policymakers, developers, planners and landscapers discussed solutions to start making a difference and 128 grants have been given to communities to turn grey spaces green. The RHS hosted a conference at Tatton Park Flower Show in 2018 to highlight the importance of greening urban spaces and its last three gardens from RHS Chelsea Flower Show have all transformed grey spaces to green after the show. Later this month we will be announcing some exciting news about our Greening Grey Britain campaign, so watch this space! Are there opportunities where these organisations could get more involved with RHS activities? The RHS vision is to enrich everyone’s life through plants, and make the UK a greener and more beautiful place. Just some of the ways we do this include our community gardening campaigns such as Britain in Bloom and It’s Your Neighbourhood –there are over 2,500 groups across the UK which anyone can get involved in! Through the RHS Campaign for School Gardening and Green Plan It initiatives, we help improve the lives of 6 million children at more than 38,000 UK schools and groups and train more than 1,000 teachers every year. More help from our landscaping and design colleagues would always be much appreciated. We also have a number of other national initiatives in place such as National Gardening Week (29 April – 5 May). This year we’re calling on gardeners across the country to share their home-grown produce with this year’s RHS theme, Edible Britain. We encourage individuals and organisations to put on events to get the public gardening. Wild About Gardens is another example, a joint initiative by the RHS and The Wildlife Trusts to get more people growing for wildlife. The flower show season kicks off with RHS Cardiff this April, with the renown Chelsea Flower Show in May. How do these flower shows benefit the landscaping industry as a whole? Our Shows provide a great platform to highlight the landscaping profession as we reach out to many more people across the UK to share the love of gardening and help engage gardeners of all levels and attract people new to the industry. The high level of skill of our British landscapers are a vital element of our shows and we demonstrate this through exciting garden designs and engaging content. We hope that our shows promote the breadth of skills within the sector and the many opportunities in this multifaceted industry. We work with organisations such as British Association of Landscape Industries (BALI) and Association of Professional Landscapers (APL) to provide opportunities for students and apprentices to create gardens at the show. The RHS Flower Show Tatton Park has become synonymous with budding new talent with its Young Designer of the Year Competition. In 2016 and 2017, the show ran its RHS Young Landscape Contractor (supported by BALI) and RHS Young Planting Designer 2017 seeking to encourage emerging talent within the sector. Last year at the RHS Hampton Court Palace Garden Festival, we welcomed landscaping students from BALI as they created a garden under mentorship. 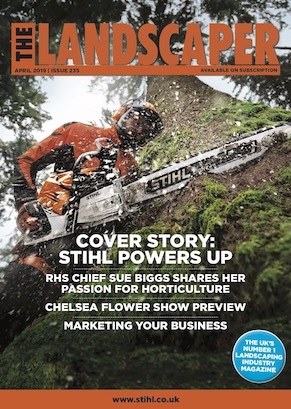 It showcased how newcomers can get involved in creating rewarding and inspiring gardens, from the earliest stages of their career as it inspired new talent while celebrating the skills of Landscape Contractors. We’re also delighted to see APL return for 2019’s Festival. Being involved in the construction of a garden, including laying paving and planting, RHS Shows provide Landscape designers with a fantastic platform from which to demonstrate their skills in front of the wider landscape industry and the hundreds of thousands of visitors. Putting you on the spot, which is your favourite RHS flower show in the UK and why? I couldn’t possibly say! Each of the shows really do have their own personality so it’s so difficult to choose between them. I think Cardiff for its vibrant variety of plants and flowers, it always feels as though spring has truly arrived. Chelsea for cutting edge design that never fails to take my breath away. Chatsworth for innovation in an absolutely beautiful location. Hampton Court for its relaxed summer feel and everything I could ever want for my garden, especially as it’s close to home for me. And Tatton Park for new faces, talent and exciting designs I’ve never seen before.